Rami Malek's fake teeth helped his performance in 'Bohemian Rhapsody'. 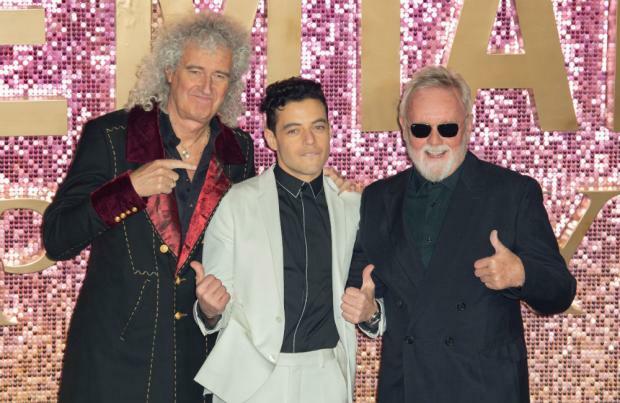 The 37-year-old actor played Queen frontman Freddie Mercury in the biopic and although the costume provided some difficulties it actually ended up giving him a boost on set. He told The Wrap: "They started out being pretty difficult to deal with. We tried out all different sizes and when they first went in I felt very insecure, but immediately I compensated. "You see him covering up his lips and his teeth all the time, and I could never quite get the hang of it. But as soon as those teeth went in, it was done. It was little things like that that were very informative for me." Rami previously admitted he has always open with producer Graham King about his lack of musical ability prior to landing the coveted role. He shared: "We sat down for a six-hour meeting and he'd really only seen me in 'Mr Robot', where I played this profoundly alienated, socially anxious human being who's a pretty far cry from Freddie Mercury. "Graham saw something in me with Dennis O'Sullivan, and gave me a shot. I said, 'Listen, I'm not a singer. I don't play the piano. I move in a very interesting way on a dancefloor – I don't know if I'd call it rhythm.' "
Meanwhile, Rami recently revealed he is still researching Freddie following the release of 'Bohemian Rhapsody'. The actor remains obsessed with reading about the 'Radio Gaga' singer and making sure he got the part spot on. He explained: "You see him onstage and then almost instinctively, I'd want to discover more. "There's just an eloquence and elegance to him that you see when he's onstage, and then you can see where all that was birthed from. Not many artists are wearing an entire head-to-toe leather outfit, sipping a champagne flute and telling their audience to strip naked if they please. And he still comes off with this essence of royalty. "I re-read one of the biographies the other day just to see, 'Did I miss anything?'"